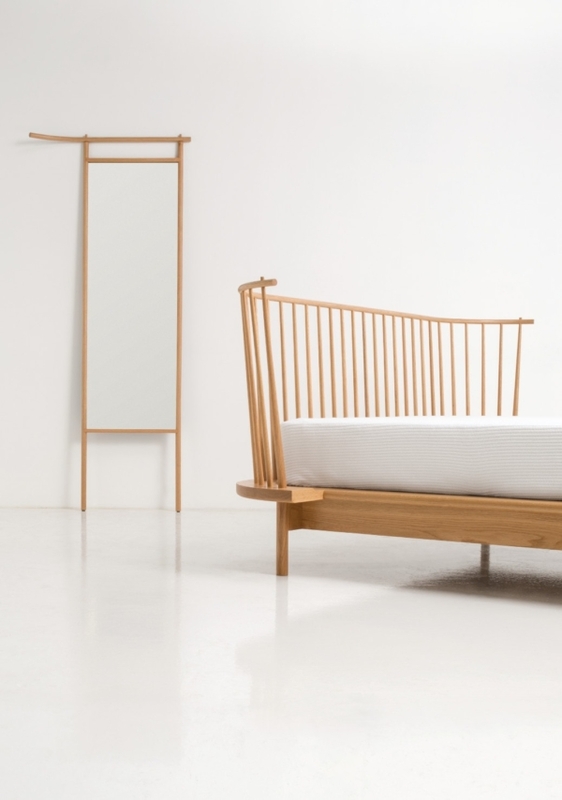 The Foreside Mirror is inspired by the airy structure of the headboard on our contemporary, Shaker-inspired Foreside Bed – echoing its long, slender spindles and curved, flitch-laminated top rail. 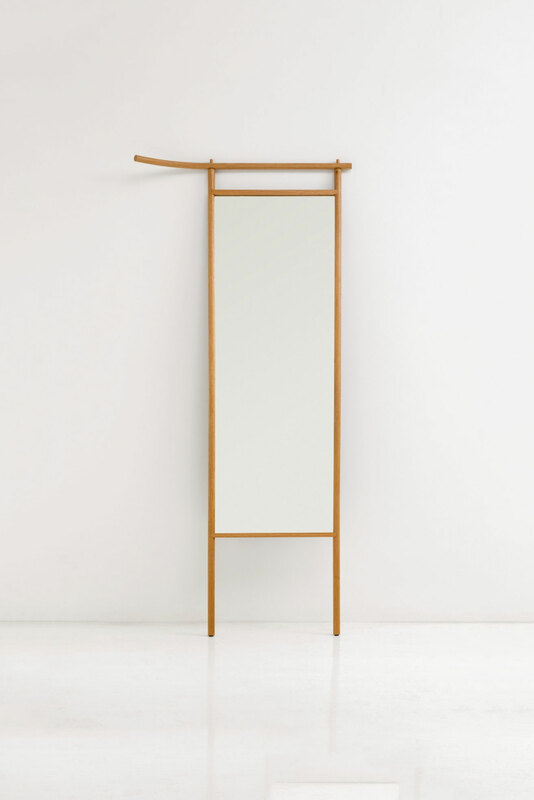 Like its inspiration, the mirror’s frame makes use of long, slender lengths of North American hardwood. 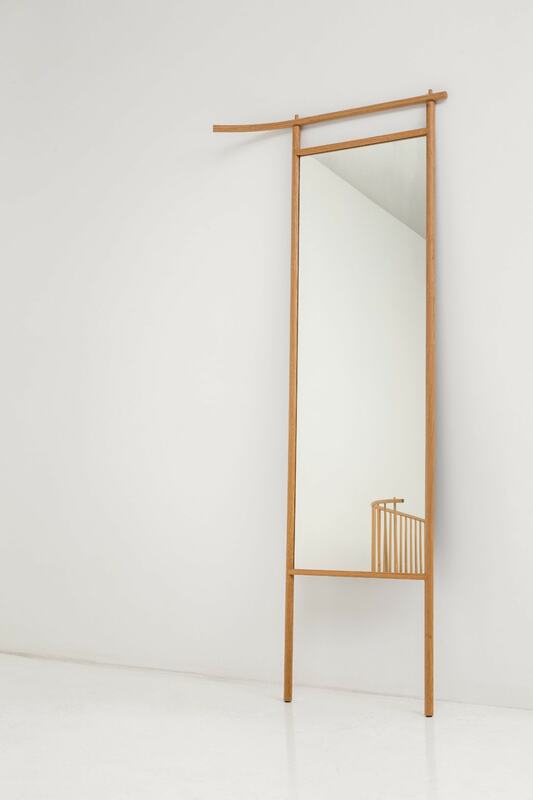 The side spindles of the mirror double as legs, and extend upward, beyond the mirror, to support its sweeping crest. Both the Foreside Mirror and Foreside Bed aim to embrace our craft capabilities and define ‘visible joinery’ in a new way with the collection’s hallmark joint; a pinned through tenon. That joint is found atop the two vertical side posts that form the frame of the mirror and pierce a top stack laminated bow that extends to one side to become a hook for various textiles, or perhaps a bathrobe, allowing the function to dictate the form. The bow itself is the product of stack laminating. Once the several layers of solid wood veneer are glued and pressed into a form that establishes the arch of the bow, it is shaped to the final round profile. The holes are then drilled on the CNC for accuracy.